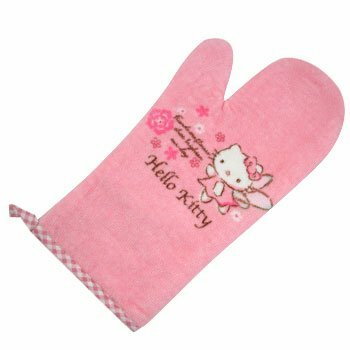 Protect your hands in the kitchen with this pretty Hello Kitty angel oven mitt! Top piping has pink and white gingham pattern. Verse reads ‘Friends are flowers that brighten our day’. This goes great with the matching Hello Kitty pot holder and apron.